My friend Werner Hoffman-Gassner of Eisern is probably known to you through his heraldic artwork that hangs with gratitude in the Germanna Visitor Center. This week he sent me a video of a very old German carol that made me think of the first Christmas when the Lutheran colonists at Germanna first celebrated Christmas with the Reformed colonists who had arrived three years earlier. The last Christmas the newly-arrived colonists celebrated was either in London or in their home churches in Germany, built of stone and decorated by skilled European artists. Here they were now, on the frontier of the British Empire, in a rudely built blockhouse that served as protection against Indians but now would serve as their church. No fine arched stonework but rough-hewn timbers, the little church would echo with the sounds of German hymns and traditional carols. It was good to be with other families who spoke your language, but behind every greeting were thoughts of home across the sea. Somehow, every song knit them closer together, and the memory of that first Christmas in America became a cherished tale of becoming Americans. Three hundred years later, we are undertaking an archaeology program to discover Fort Germanna and that five-sided blockhouse where Christmas carols were first sung. I am thankful for your support for our shared adventure, and look forward to the day when your voice can be raised in a carol within the bounds of the rediscovered Germanna. 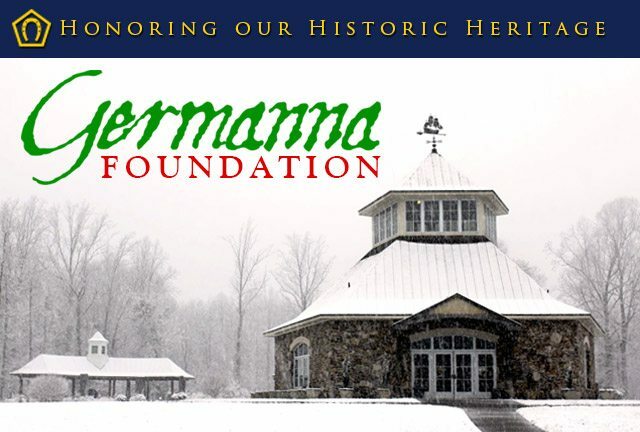 Merry Christmas to you and your kin from the Germanna family of families!